Persian Fabric and Vinyl Handbag. 1960s. Maker: Unknown. 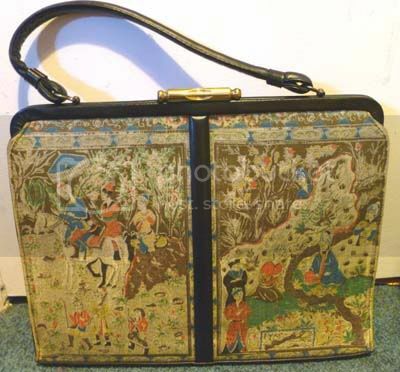 Nice large purse with black vinyl accents over a fabulous Persian (please leave a comment if I am mistaken) motif featuring people on horseback and relaxing in a garden setting. The fabric feels like rayon. Goldtone clasp closure. 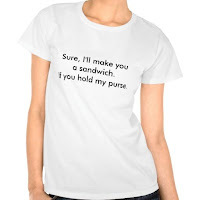 I love these huge purses, because I can carry all my junk in them. The only problem is that, with the passing of time and overuse, they can get ruined. 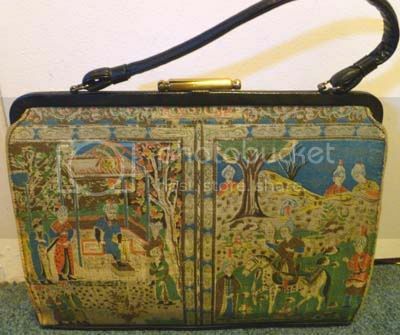 I have a purse similar in size, shape and construction to this one—except it’s an Asian tapestry. I used it a lot, so the fabric eventually tore away from the backing, which I believe to be cardboard—not the most sturdy base for a purse. 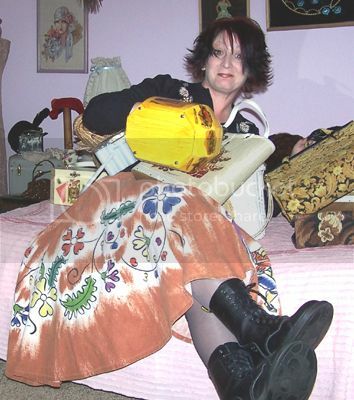 While I do have some purses that are for display only, I always carry a vintage handbag when I go out. I guess I just have to rotate them more frequently! They look exactly the same as the fabrics used in a Maxim purse (the middle one), actually. I am so glad to hear from you again! 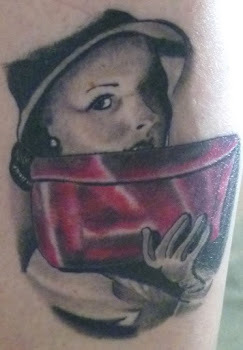 I knew you would like this bag. Thank you for sharing the links.